For many years, the University of California used the same 2 essay prompts for its admissions application. However, this year it has mixed things up a bit with its 8 new “personal insight” essay questions. Students applying to any school in the UC system are required to answer any four of these personal insight questions with no more than 350 words for each essay. While the best practices for responding to the new application essay questions have not changed, students’ stress levels have. In response, Danielle has created a mini-course to walk students through each personal insight question, showing them common pitfalls to avoid as well as example essays and snippets of the tactics she teaches to her private clients. 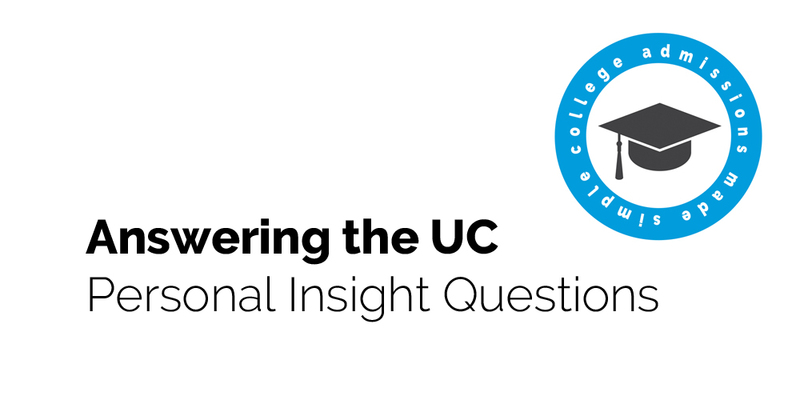 You can read more about Answering the UC Personal Insight Questions course for more information. Remember, the UC application window is from November 1st to November 30th. No applications will be accepted any other time for Fall 2017 admission. Here is a link to the official UC personal insight questions.